Wader Quest: South American Endemic Plovers pt 3/3: The Dotterels and Diademed Sandpiper-Plover. 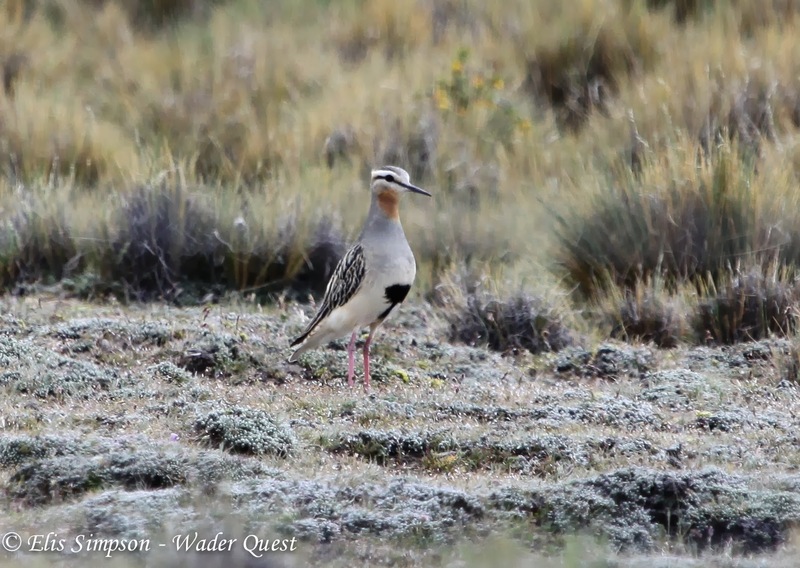 South American Endemic Plovers pt 3/3: The Dotterels and Diademed Sandpiper-Plover. Strictly speaking the first dotterel is a plover in that its scientific generic name is Chardrius, meaning some refer to it as a plover but then so is the Eurasian Dotterel Charadrius morinellus, so lets us not quibble about names. The Rufous-chested Dotterel Charadrius modestus is a pretty bird that breeds at the southern most tip of South America and up the hills of the southern Andes. After the breeding season it moves to lower altitudes and spreads north as far as southern Brazil and central/north Chile. 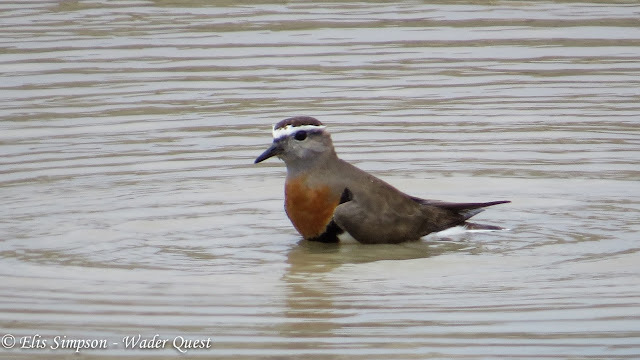 Rufous-chested Dotterel: November 2013, Chile. The Tawny-throated Dotterel Oreopholus ruficollis has a genus all to itself which means mountain loving. However, much as the Mountain Plover Charadrius montanus is not strictly a mountain bird, then neither is the Tawny-throated Dotterel. Some do breed at high altitudes, maybe as high as 3,500 to 4,000 metres but many do not particularly in the south of the range. Mountain birds will move down to lower altitudes in the Austral winter while southern birds will move north. Some populations may be resident. Tawny-throated Dotterel: November 2013, Chile. The last in this series then is the famous Diademed Sandpiper-Plover, the bird you almost have to die to see. If you are one of those folk who say 'I'm dying to see a Diademed Sandpiper-Plover' be careful what you wish for as altitude sickness, which is a very real risk in much of this bird's range, is an experience that will make you feel like you may well expire at any minute. But the pain and agony are well worth the effort to see this unique bird that defied description, was it a plover or a sandpiper? They couldn't decide so hedged their bets and called it both. Diademed Sandpiper-Plover: June 2013, Peru. Now I expect some of you will be waiting for a grand finale with the magical Magellanic Plover Pluvianellus socialis, well sorry to disappoint you, but this is a plover in name only and is set apart in a family of its own, so, if you were expecting a picture of this super little bird, then you will be disappointed... oh, alright then, if you insist, just to keep you happy. 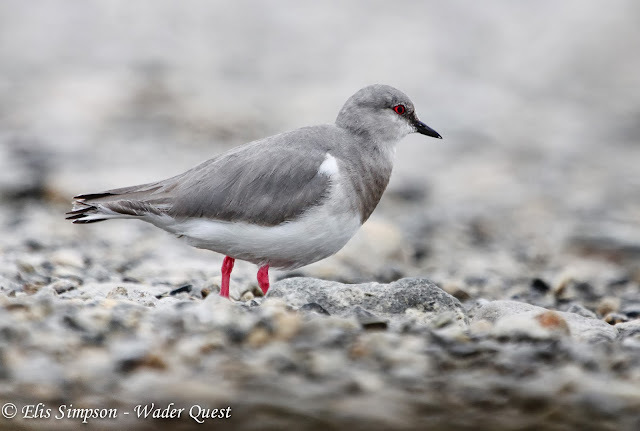 Magellanic Plover: November 2013, Chile.